This year’s huge January auction at Mecum Kissimmee provided some interesting fodder for commentary. I’ll concentrate on the reasonably stock 1980s cars (and a few trucks) that sold (remember that Mecum auctions are not “no reserve” auctions—a Guards Red 1989 Porsche 911 Speedster convertible with cashmere beige leather seats and 252 miles was a no sale bid up to $260,000) and add some of my opinions. Mecum Kissimmee is a huge event, so I’m going to separate it into two posts—this first covers the eighties 11% of the approximately 805 vehicles sold from Thursday through Sunday. 1985 Medium Blue Metallic Chevrolet Corvette hatchback coupe with blue leather seats, an L98 230 bhp 5.7 liter/350 ci V8 with fuel injection, an automatic, and 22,000 miles—$9,000 hammer price. 1981 White Chevrolet Camaro Z28 coupe with tan vinyl seats, an LG4 165 bhp 5.0 liter/305 ci V8 with a Rochester Quadrajet four-barrel carburetor, and a four-speed manual, and 48,000 miles—at $23,000, the first eighties vehicle in this auction meets my criteria for serious collectability of fairly original cars or trucks: selling for equal to or above its original base list price. I’ll mark these vehicles in bold green. 1986 Blue Chevrolet K30 Silverado pickup truck with a blue custom cloth bench seat, an LE8 230 bhp 7.4 liter/454 ci V8 with a four-barrel carburetor, a four-speed manual, and 40,000 miles—$12,500 for this truck originally owned by actor Kurt Russell. 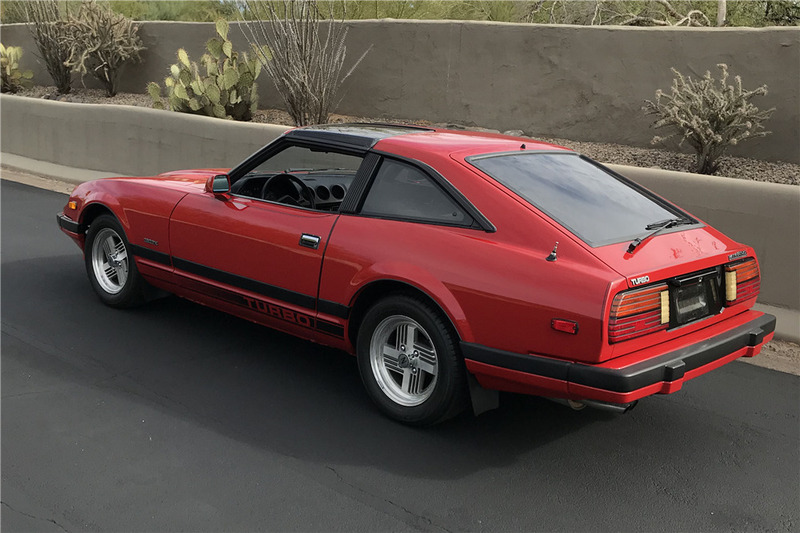 1983 Silver Datsun 280ZX hatchback coupe with gray seats, an L28 145 bhp 2.8 liter/168 ci inline six with Bosch L-Jetronic fuel injection, a five-speed manual, and 59,000 miles—$14,000 is solid money for a 280ZX. 1986 Oxford White Ford Thunderbird coupe with canyon red cloth seats, a Windsor 150 bhp 4.9 liter/302 ci V8 with fuel injection, an automatic, and 59,000 miles—$4,000 for a car you rarely see at auction. 1986 Ford Thunderbird, linked from Mecum’s web site. 1987 Burgundy Oldsmobile Cutlass Supreme coupe with burgundy cloth seats, a 140 bhp 5.0 liter/307 ci V8 with a four-barrel carburetor, an automatic, and 17,000 miles—$12,500 for a civilian Cutlass Supreme. 1988 Light Blue Mazda RX-7 convertible with a black top, blue leather seats, a 13B 146 bhp 1.3 liter/80 ci Wankel two-rotor with fuel injection, a five-speed manual, and 51,000 miles—$7,000. 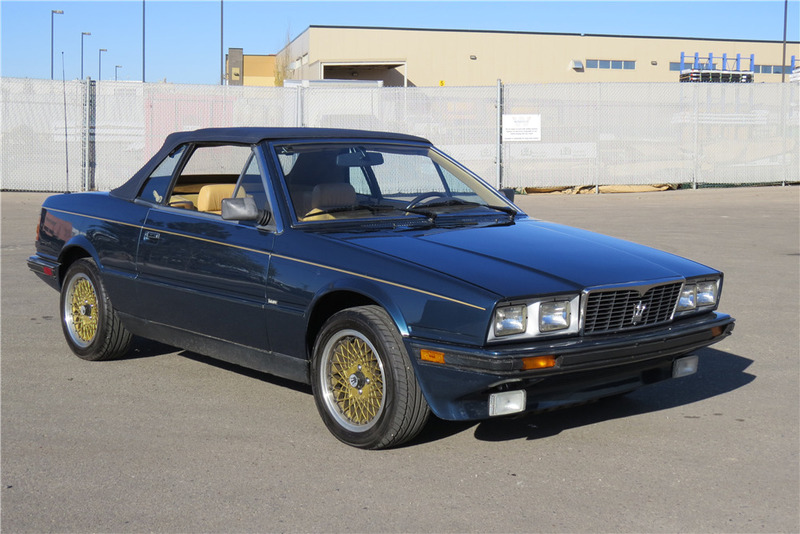 Two eighties Mazdas in one auction! 1988 Mazda RX-7, linked from Mecum’s website. 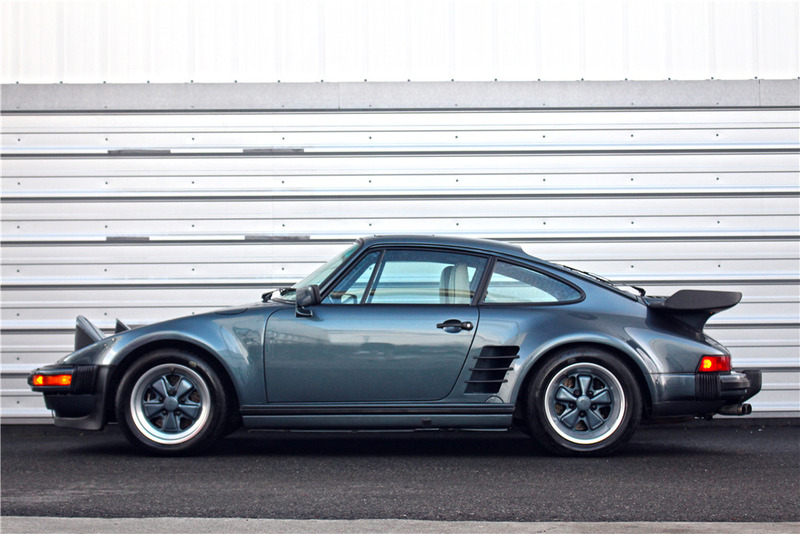 1986 Porsche 911 Turbo, linked from Mecum’s website. 1987 Black BMW M6 coupe with gray leather seats, an M88/3 256 bhp 3.5 liter/211 ci inline six with Bosch Motronic fuel injection, and a five-speed—$24,000 is between #3/Good and #4/Fair money, according to Hagerty’s valuation tools. 1985 White Toyota pickup truck with gray cloth seats, a 22R 2.4 liter/144 ci inline four, a five-speed manual, and 42,000 miles—$19,500. Amidst all the Land Cruisers, we get a Toyota compact truck. 1985 Toyota pickup truck, linked from Mecum’s website. 1980 Dark Claret Metallic Chevrolet Corvette coupe with oyster seats, an LG4 180 bhp 5.0 liter/305 ci V8 with a Rochester Quadrajet four-barrel carburetor (California car! ), an automatic, and 35,000 miles—$5,000 for a Corvette that takes over nine seconds to make the 0-60 mph run. 2018 was a good year for Eighties Cars. We managed 39 blog entries—one every nine days. Posts were divided up into 22 featuring a specific car, 14 on auctions, and three on a new for 2018 series—”What Cars Are Collectable?” discussed Hagerty’s choices in this area. 2018 was also the best year for page views since I started the blog—we were up 78% over 2017. I also added a Vanished category for cars that seem to have disappeared entirely. Every year, I look at the end of the year results for most viewed posts. For 2018, it looked like the key to the popularity of an individual post was generally in the rarity of the other coverage available for that particular vehicle. It also didn’t hurt to be a Chevrolet, a Buick, or a Pontiac. In reverse order, I’ll look at the top ten most viewed posts of this year. 10) 1987 Chevrolet Caprice Classic coupe—this is a very old (April 2014) but evidently evergreen post about the last of the big Caprice coupes. For the five years Eighties Cars has been around, it’s the third most viewed post overall. 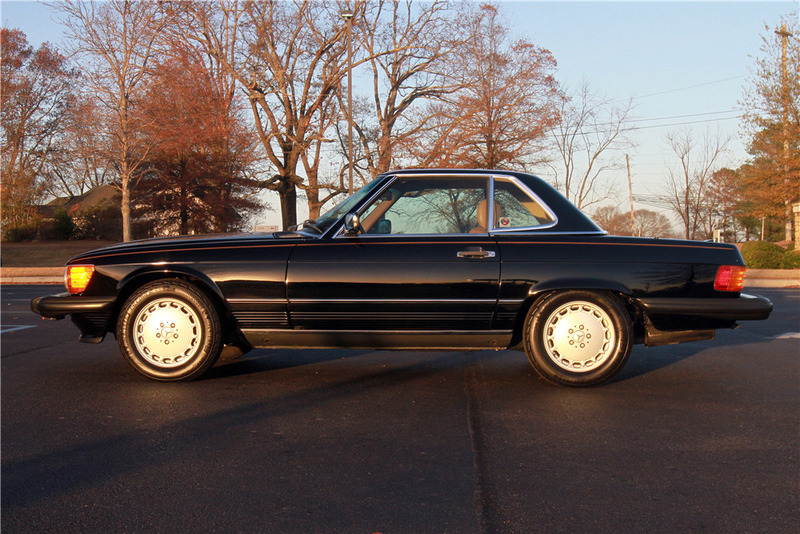 3,110 coupes were sold in the 1987 model year. 9) 1989 Chevrolet Celebrity sedan—I doubt there are a ton of articles being written about any of the A-body cars. This August 2016 article inspired by a work colleague’s Celebrity continued to get a substantial number of page hits this year. 162,462 sedans were sold in the 1989 model year. 8) 1982 Chrysler LeBaron convertible—the return of the convertible does get covered elsewhere, and people are collecting these cars. So, why does this LeBaron post get three times as many page hits as the one on the Town & Country? 12,825 convertibles were sold in an abbreviated 1982 model year. 7) 1981 Toyota Celica Sport Coupe—another relatively early article that continues to get a lot of attention. The period when I wrote this article was around the point when I began to figure out that there’s usually a lot less information available on eighties imports versus domestic brands of the same era. 6) 1984 Buick Riviera T-Type coupe—one of my first posts on this blog gets continued interest on a car that Hagerty does see as collectible ($15,500 in #1/Concours condition, $5,400 in #3/Good condition). 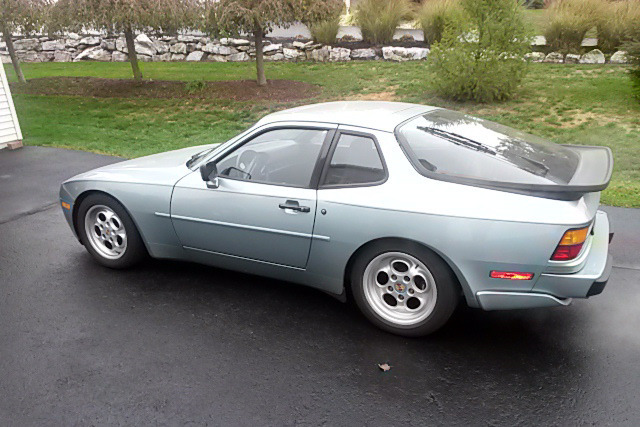 My rather strange interest in sporty Rivieras had me covering the 1980 S TYPE late this year. 5) 1980 Pontiac Sunbird Sport Hatch—now this is a rarely discussed car, so I understand why the portion of the internet that cares is coming here. They also seem to have vanished entirely from the streets of America. 4) 1980 Chevrolet Camaro Z28 coupe—these late second-generation Z28s have been sliding up in popularity and value ($33,300 in #1/Concours condition, $15,600 in #3/Good condition for the 5.7 liter/350 ci engine versions), which marks a hole in my overall thesis on what posts are popular. Maybe next year my post on the Camaro Rally Sport from the same year will get more hits. 3) 1980 Pontiac Grand Am coupe—another rarely discussed 1980 Pontiac makes the list. This was the most viewed post in 2017, so it’s been consistently popular. 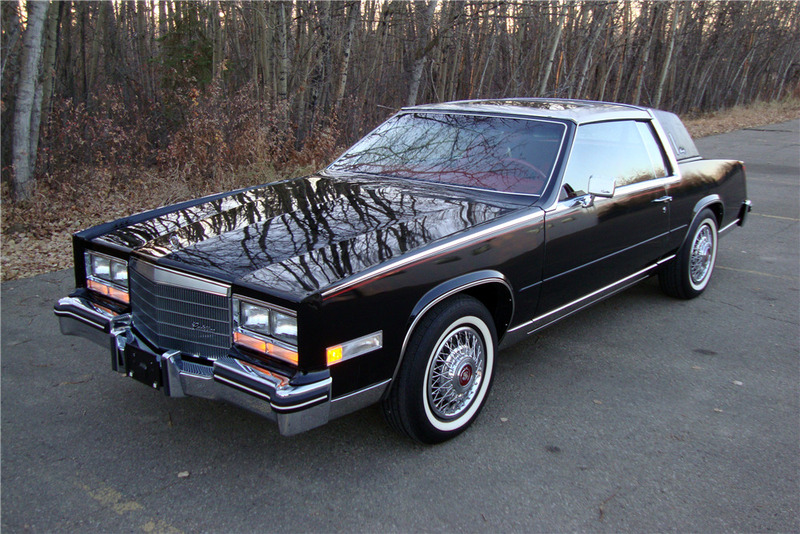 1,647 Grand Ams were sold in the 1980 model year. 2) 1985 Buick Somerset Regal coupe—this post has been picked up by other websites a few times, most recently by Jalopnik. Hilariously, I don’t think I would have ever gotten around to writing about the Somerset Regal if I hadn’t actually seen one on the streets of Philadelphia a few years ago. 1) 1986 Chevrolet Camaro Berlinetta hatchback coupe—the Berlinetta is rarely covered, with almost all the eighties Camaro attention going to the Z28 and the IROC-Z. Posts that no longer made the cut in 2018 that were popular in 2017 include 1985 Chevrolet Caprice Classic Station Wagon and 1981 Chevrolet Citation X-11 hatchback coupe. A post on the rise in the last quarter of 2018 was 1987 Mercury Lynx XR3 hatchback coupe. Mecum’s three-day December auction in Kansas City usually provides much fodder for commentary and this year was no exception. I’ll concentrate on the at least reasonably stock 1980s cars (and a few trucks) that sold (remember that Mecum auctions are not no reserve auctions—a beige 1980 Toyota HJ-45 Land Cruiser SUV with gray seats was a no sale bid up to $28,000) and add some of my opinions. Eighties vehicles were about 9% of the 307 vehicle lots sold in this auction. 1987 red Chevrolet El Camino custom (engine, interior, wheels/tires) pickup truck with a red bench seat, a 5.7 liter/350 ci V8 with a four-barrel carburetor, an automatic, and 31,000 miles—$10,000 hammer price. 1980 maroon Triumph TR7 convertible with a black top, black vinyl seats, an 86 bhp 2.0 liter/122 ci inline four with a carburetor, and a four-speed manual—$3,000 is #4/Fair money, according to Hagerty’s valuation tools. 1981 diamond mist metallic/medium blue metallic two-tone Datsun 280ZX hatchback coupe with blue/gray cloth seats, an L28 145 bhp 2.8 liter/168 ci inline six with Bosch L-Jetronic fuel injection, and a five-speed manual—$5,000 implies that the 280ZX is not yet getting the love from the market that the earlier Z cars get. 1981 Datsun 280ZX hatchback coupe interior, linked from Mecum’s website. 1986 midnight blue Chevrolet C10 Silverado pickup truck with a blue custom cloth bench seat, an LE9 160 bhp 5.0 liter/305 ci V8, and automatic, and 3,900 miles—at $34,000, the first vehicle in this auction to meet my criteria for serious 1980s collectability of mostly or entirely original cars or trucks: selling for equal to or above its original base list price. I’ll mark these vehicles in bold green. 1989 white Oldsmobile Cutlass Calais coupe with blue cloth seats, an Iron Duke 110 bhp 2.5 liter/151 ci inline four with fuel injection, an automatic, and 12,000 miles—$3,250 for perhaps the most unusual eighties vehicle at this auction. Who buys this car? What are their intentions for it? Should I do a blog entry on this car? 1988 Oldsmobile Cutlass Calais coupe, linked from Mecum’s website. 1980 dark claret metallic Chevrolet Corvette coupe with claret leather seats, an L48 190 bhp 5.7 liter/350 ci V8 with Rochester Quadrajet four-barrel carburetor, an automatic, and 74,000 miles—$13,000 for this handsome late shark. 1980 Chevrolet Corvette coupe, linked from Mecum’s website. 1980 beige Toyota FJ-43 Land Cruiser SUV with gray seats, a 2F 135 bhp 4.2 liter inline six, and a four-speed manual—$40,000 made this the highest eighties vehicle sale of the auction. Among eighties vehicles, Chevrolets dominated this auction, with 39% of the sold lots from that decade. Jeep, Ford, and Datsun/Nissan also had notable representation. What do you think of these results?